On Monday, May 14th 2018, PBI held the annual public hearing. Representatives of each class as well as some lecturers attended the event. As the representative of their classmates, students communicated their concerns and opinions on the department. These include their views on the academic conduct, organisational activities, classroom teaching & learning process and any other issues that they would like to address. In two hours, students shared their opinions, and questions. 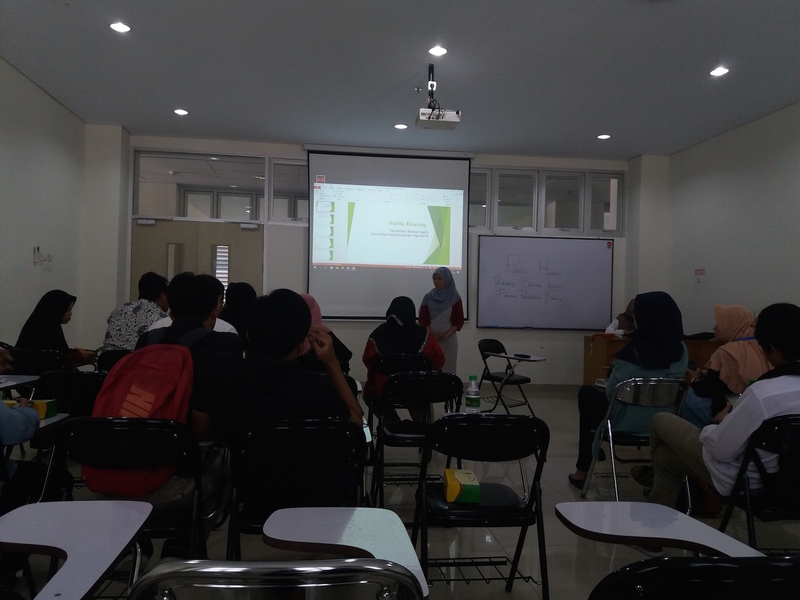 The head and secretary of the department, Sri Rejeki Murtiningsih, Ph.D. and Indah Puspawati, M. A., on behalf of the department, responded students’ concern and questions. Additionally, they would also forward the result of the hearing to the lecturers of ELED. It is to ensure that all of the lecturers in the department are well informed about students’ concern and can address the issues which are relevant to them. Additionally, this follow up is hoped to be able to enforce positive changes in the department.